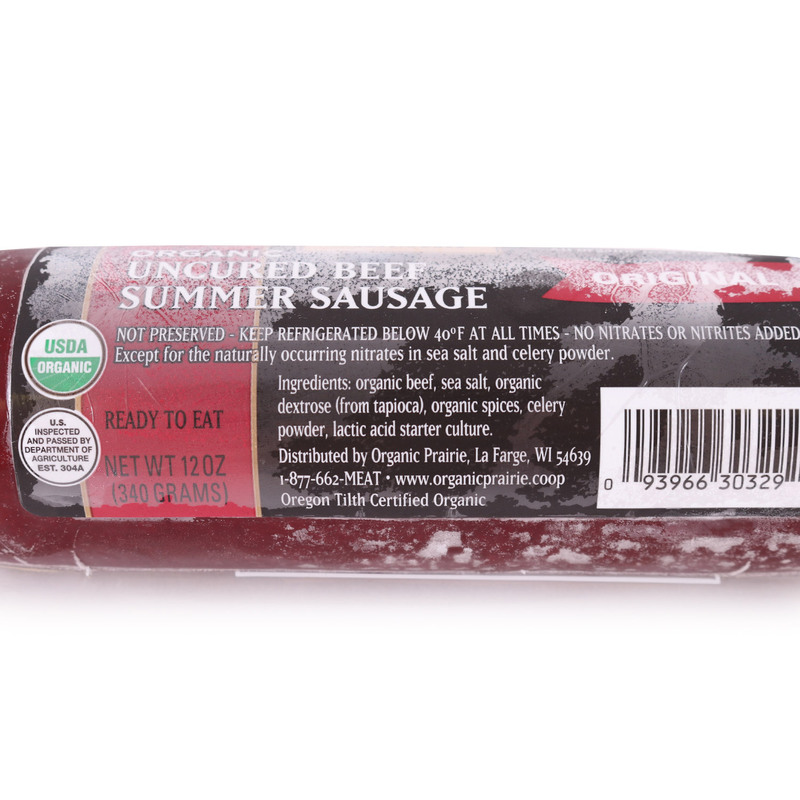 "Tangy, uncured organic beef sausage begs to be eaten with cheese and crackers. It's snacking made easy, healthy and delicious! Organic Prairie operates under organic production standards that go above and beyond government regulations. 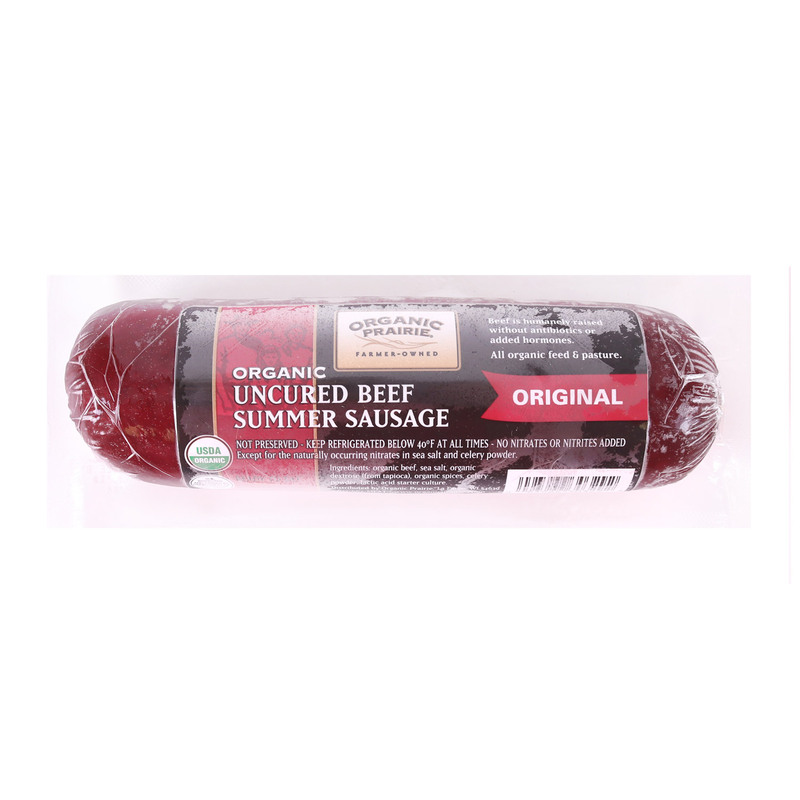 This means their meat products are some of the healthiest and tastiest available!" 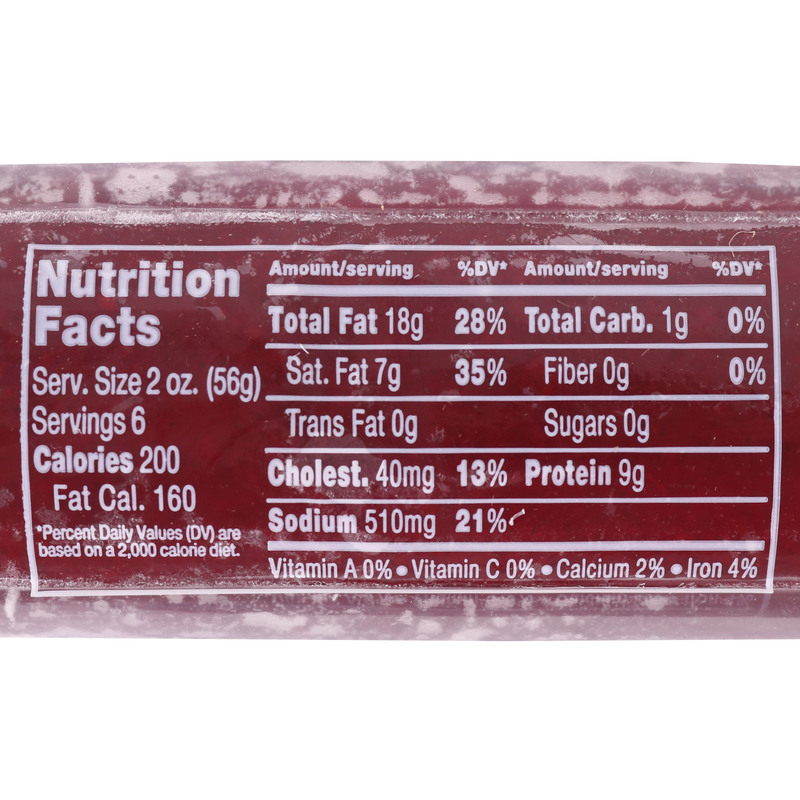 Organic beef, sea salt, organic dextrose (from tapioca), organic spices, celery powder, lactic acid starter culture.